We have filled all of the "Food and Beverage" vending spots available. Thank you! All other interested vendors, there are still a few spots available, please get your applications completed and submitted. All 2019 Returning Vendors, please contact Dana directly to reserve your place for the 31st Anneversary Adirondack Nationals Show! If you've never been a Vendor and would like to be added for this year's show... please contact Dana and get your information in and Welcome! PLEASE HOLD YOUR CHECKS UNTIL DANA ASKS FOR THEM THIS YEAR... this is new for this year! PLEASE contact him asap....and THANK YOU! 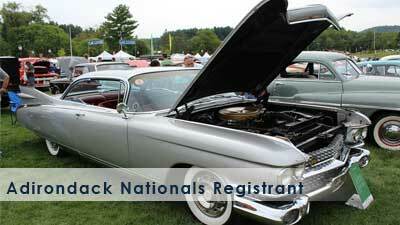 Have a great show season and see you in September at the 31st Adirondack Nationals in Lake George, NY! 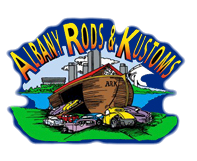 Albany Rods & Kustoms would like to invite you and your company to take part in the 2019 Adirondack Nationals car show. 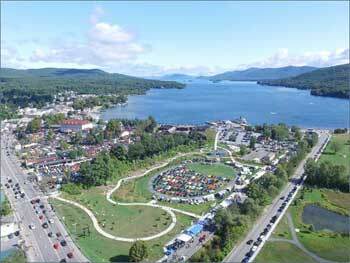 In case you are unfamiliar with the show, it is held at the Historic Fort William Henry Resort over-looking beautiful Lake George and is one of the largest shows held in the northeastern part of the United States. 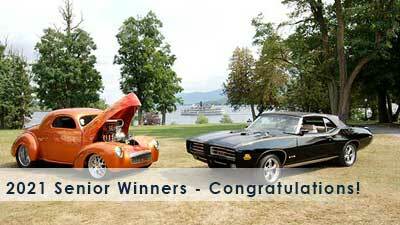 The Adirondack Nationals attracts over 3,000 Street Rods, Classics, Antiques, & Muscle Cars to Lake George, NY for the 3 day weekend following Labor Day, every year. 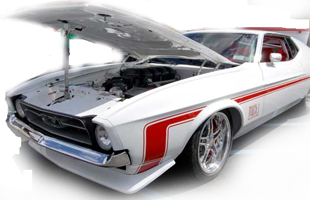 Attendance at the show reaches nearly 15,000 spectators who come to see the cars, visit with our vendors, and participate in some of the many activities related to the event. Don't miss out on this exciting opportunity! The "Women's Oasis" is a selection of non-automotive oriented vendors and retailers. This was a new addition to our event in 2005 and was immediately a huge success. Spaces for the Woman's Oasis sell out quickly. Women's Oasis is located in the FWH Conference Center. (on the show grounds adjacent to The Village Blacksmith Restaurant). The location is near busy admission gates, and handicap accessible, air conditioned, fully carpeted, and private restrooms. The Woman's Oasis is a great place for people to take a break from the cars and enjoy this unique shopping opportunity. The building will be locked down each night and secured until morning for anyone wishing to leave their booth set-up. If you need to rent a table, call the Fort William Henry Resort and ask for Tom Wysocki. He can assist you and have tables there when you arrive. Electricity is available upon request. We are looking for non-automotive vendors offering such items as jewelry, pocket books, hand bags, shoes, lingerie, cosmetics such as Avon or Mary Kay, arts & crafts, scented candles and in-scents, pottery & glassware, kitchenware such as Tupperware or Pampered Chef, manicurist, hair stylist, etc. If your not sure the items you offer are a good fit, just give us call and we will be happy to assist you. If you would like to participate as a vendor at the 2019 Adirondack Nationals, please click here and print an application form. Mail your completed application, along with a 50% deposit, no later than June 1st, 2019 to secure your space. OUR CONTRACT WITH THE VILLAGE REQUIRES SHOW VENDOR PERMITS TO BE FILED 90 DAYS BEFORE THE SHOW. NO EXCEPTIONS! Please remember to state your location preference and specify the size space you require. Spaces are on a first come, first serve basis. The balance of your payment is due no later than August 8th, 2019. Thank you and we hope to see you at the show. This area is geared towards automotive related items such as parts, equipment, services, memorabilia, etc. All of these spaces are easily accessible by truck and trailer on set-up day (Thursday). There is no electricity available, so you must provide your own generator if you need power. We will gladly work with you to help meet your needs. If you would like to be a vendor at the 2019 Adirondack Nationals, please click here and print an application form. Mail your completed application, along with a 50% deposit, no later than June 1st, 2019. OUR CONTRACT WITH THE VILLAGE REQUIRES SHOW VENDOR PERMITS TO BE FILED 90 DAYS BEFORE THE SHOW. NO EXCEPTIONS! The balance of your payment is due no later than August 8th, 2019. Please remember to specify the size of the space you require. Spaces are offered on a first come, first serve basis. Space is limited and sells out quickly. Don't delay, act now!